RM 550 SAHAJA TERMASUK POS! YA...RM 550 SAHAJA TERMASUK POS! 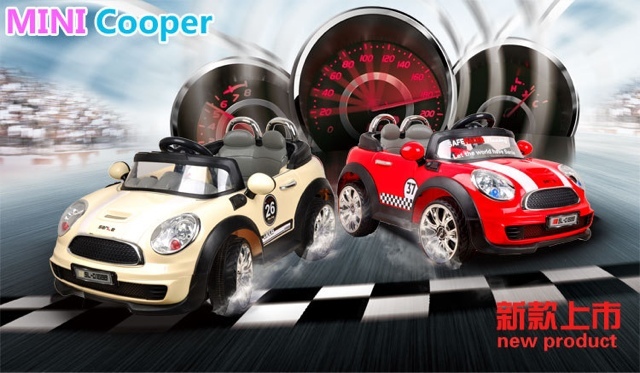 Enjoy the fun and sporty styling of the MINI Cooper Style 6V Battery Powered Car For Kids, which features a two-tone body and authentic MINI Cooper racing stripes and emblems, a premium clear windshield and chrome accent trim. With cool horn and powerful engine sounds in the textured steering wheel, this awesome ride on imitates the real thing. 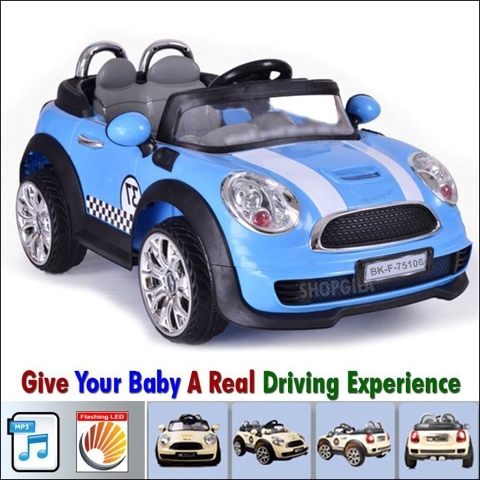 The 6V rechargeable battery powered deluxe child ride on mini cooper style car has a battery capacity indicator, you will know how much power the battery has got and monitor the battery if it needs a charge, confortbale seat with safety belt make kids driving experience excellent. Optional parental remote control - The car can be used with the normal in-car controls, using the pedal with the forwards/reverse gears and steering wheel, or can optionally be used remotely with the parental remote control. The parental radio remote can operate from up to around 20m away and controls forwards/reverse and moves the steering wheel left and right. MP3 player input with volume control. The steering wheel buttons include turn sounds. The car has a seat belt fitted, to keep your child safe if using the parental remote option. Realistic gear-stick operated forwards and reverse. It plays engine start up sounds and many different music tones, volume control can turn the music up, down or switch off, flashing color lights when music is on. New and boxed with assemble and play instructions. Made from toughened and durable plastic with beautiful gloss finish.